When we hear about the various tensions and problems in the world we may feel fearful and powerless. Is our freedom in serious danger due to religion-inspired terrorism? Could an upswing of the radical right throw us back to the time of world war II? Is there a serious threat of large-scale war because of the Ukraine conflict? Will global warming bring serious deterioration to people and environment? Does commercialization of medical practice lead to a situation in which we can no longer trust doctors? Recently I spoke with someone about one of these topics and at some point that person said: "I am worried about it but I would not know what I can do as an individual to make things better." A fair point, I think. Some problems happen at such a large scale that as individuals we can do very little to solve them. When we were talking about this I remembered a statement by Albert Schweitzer. He once said: "Of all the will toward the ideal in mankind only a small part can manifest itself in public action. All the rest of this force must be content with small and obscure deeds. The sum of these, however, is thousand times stronger that the acts of those who receive wide public recognition. The latter, compared to the former, are like the foam on the waves of a deep ocean." If we try to carry the weight of the world on our shoulders by expecting us to make clear and great contributions to solving the great problems of the world, we make the chance of disappointment rather big. However, this does not mean that there is nothing we can do. We all have our own environment in which we interact with other people. How we talk to these people, what questions we ask them, and how we treat them generally has an effect, albeit perhaps a small one. Perhaps you will only influence very few people. But who knows what changes are possible when many of us try to achieve micro-improvements in the world? 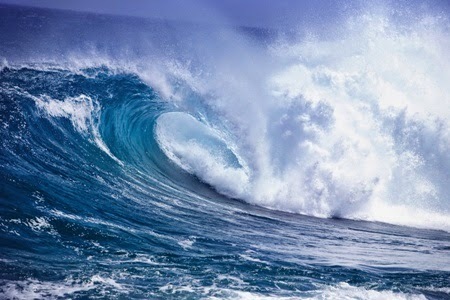 Maybe we must strive to be the drop in the waves which improve the world.